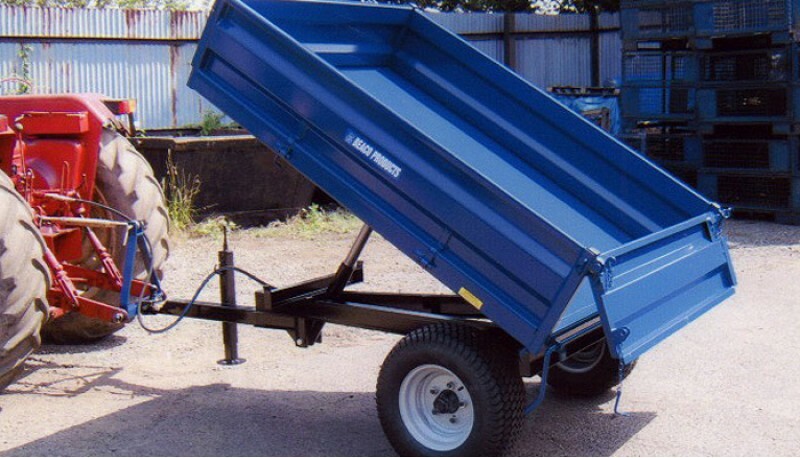 1500 KG Tipping Trailer With Drop Sides (Removeable), from Beaco Products. 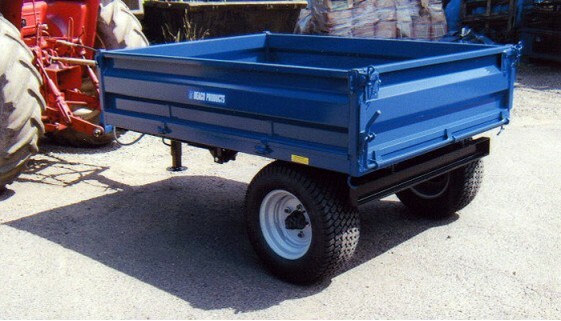 1500kgs load capacity Tipping Trailer, with a robust body and reinforced load bed and side Chimes. Wide wheel base for extra stability with 23 inch heavy durty pneumatic Turf Tyre on wheels for Off Road use only. 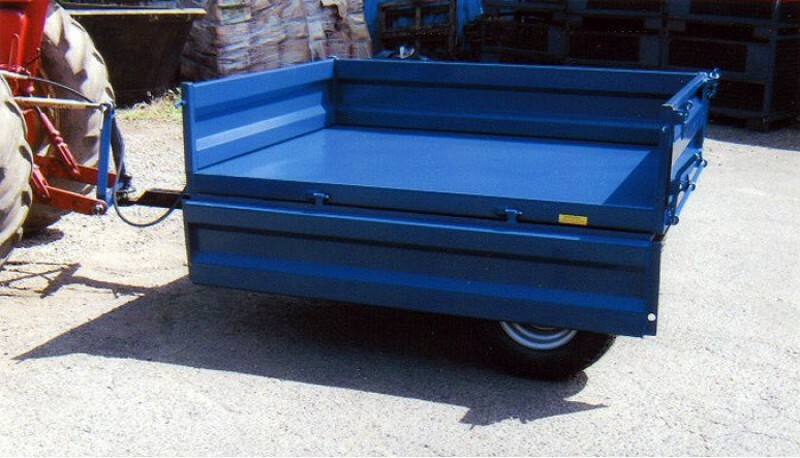 Removable drop sides and tipping rear door for discharging. 2 stage hydraulic ram fitted with 2 mtrs of hose c/w 1/2" ISO 'A' Male Probe with rope hooks as standard. Oxford blue (other colours available on request).